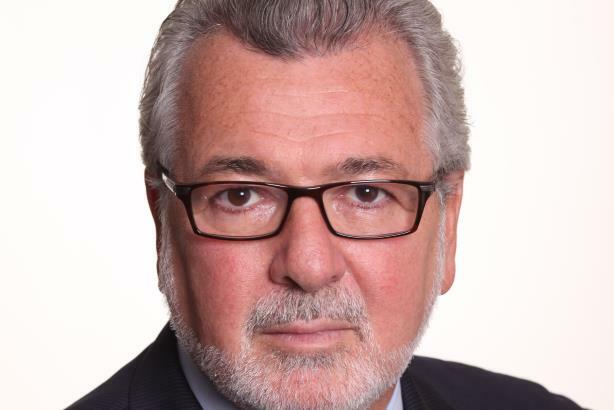 Ed Reilly, CEO of FTI Consulting's Strategic Communications arm, is to step down from the role, PRWeek has learned. His replacement will be Mark McCall, who heads Strategic Communications in the Americas and is also chief operating officer and a senior MD, based in New York. FTI president and CEO Steven Gunby told staff today that Reilly would remain with FTI, "focusing his efforts on client development and growth". "We anticipate a transition period, with Ed and Mark sharing the leadership role for the next few months as Mark uses that time to travel around the network to meet with as many of you as he possibly can," Gunby told employees. Reilly was an MD at financial comms agency Financial Dynamics when it was bought by FTI in 2006. He has been involved in the business during the integration period, rising in 2010 to global CEO of the division, which generated revenue of $191.2m in 2016, employing 647 people globally. Gunby paid tribute to the "enormous contributions" from Reilly from the division and to FTI as a whole. "Ed took over the leadership of Strat Comms during a period of tumult. He immediately connected deeply with many of you and stabilised the group. "More recently, he has led, with efforts from a number of you, a terrific resurgence of Strat Comms to the strongest global position we have ever had — with an enormously bright future. He also contributed to the reformation of the Executive Committee into a more collaborative and effective body." McCall also joined FTI Strategic Communications with the acquisition of Financial Dynamics in 2006, when he was heading the agency’s financial services sector in the Americas. "He is a superb client service partner and he continues to play a leading role in many of our largest client engagements," said Gunby. Reilly said: "I can think of no one better to lead the Strategic Communications segment into the next phase of growth than Mark. He is an incredibly capable leader who brings a great mix of operational expertise, industry knowledge and global experience to the role. Perhaps as important, he is a selfless leader who knows how to not only leverage his own strengths, but to leverage the contributions of other leaders across the enterprise." McCall said: "Looking forward, we will continue to invest in areas where we see the business and our clients’ needs moving. I also look forward to continued collaboration with FTI Consulting’s other business segments to deliver enhanced returns for our clients, our people and our shareholders." Speaking to PRWeek earlier this year, Reilly described 2016 as "a somewhat mixed year" overall in terms of general market conditions, citing "volatility" linked to the UK’s EU referendum and Donald Trump’s US presidential election victory. More recently, FTI Consulting’s Strategic Communications arm reported a 7.4 per cent year-over-year decrease in second-quarter revenue to $46.2m, linked to a decline in project-based revenues in North America. The Strategic Consulting division has worked on some of the biggest M&A deals globally in recent times, including representing Monsanto in its acquisition by Bayer; Deutsche Börse on its proposed merger with the London Stock Exchange; British American Tobacco on its acquisition of US rival Reynolds; and pharma company Shire on its takeover of Baxalta. FTI is listed seventh on PRWeek's UK Top 150 table, with estimated revenue of £36m in 2016. Last month John Waples, UK head of strategic communications at FTI Consulting, was given an expanded role, taking the new position of vice-chairman for EMEA. This article was updated on Wednesday morning with comments from Reilly and McCall.